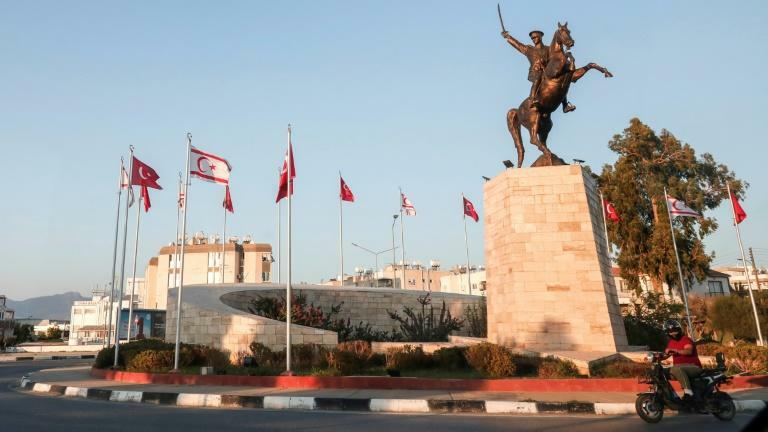 Hit by the tanking Turkish lira, breakaway northern Cyprus is struggling to fend off a crisis largely outside the control of the isolated enclave, which relies on Ankara for its economic survival. 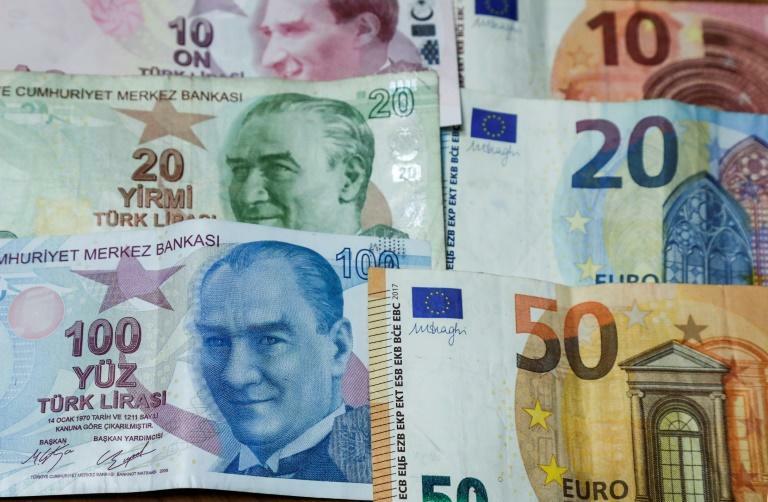 The currency, which has been hammered by market fears over Turkey's economy and a diplomatic row with the United States, has nearly halved in value against the dollar this year. That has left tiny northern Cyprus, which uses the lira, in a tight spot. With no control over the value of the currency or interest rates, "it's very, very difficult for an economy like us" to cope with the sudden devaluation, economy minister Ozdil Nami told AFP. "This crisis is not of our own making." The northern third of the Mediterranean island has been largely cut off from the rest of the world since 1974 when Turkey invaded following a Greek Cypriot coup seeking union with Greece. The UN-patrolled "Green Line" dividing the island was only opened to two-way traffic in 2003. Today Greek Cypriots are flocking across the border to fill up with cheap petrol following the lira's plunge, causing long queues at checkpoints in Nicosia, the world's last divided capital. 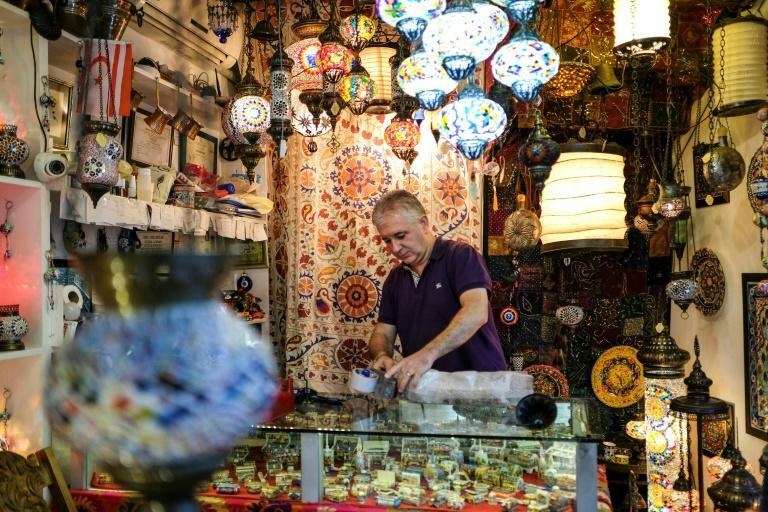 The influx is little solace for coffee shop owner Mehmet in the north of the city. "All of my costs have gone up 50 percent in the past few weeks and my savings have basically lost half their worth," he said. Meanwhile the cost in Turkish lira of his son's university tuition in Britain has nearly doubled. "I can manage at the moment, but as the time passes, people won't have the means," said Mehmet, who did not want to give his real name. Ankara is the only country to recognise the self-declared Turkish Republic of Northern Cyprus, home to around 300,000 people. Authorities in the enclave have implemented a series of steps aimed at "maintaining the cash flow in the economy", Nami said. Heavy subsidies on petrol and cigarettes, significant cuts to consumption and property taxes, and incentives for foreign real-estate investors are all part of the plan along with austerity measures. Ministers and lawmakers have agreed to a 20-percent pay cut for six months, Nami said, and public sector unions have accepted a 15 percent reduction in overtime payments. But prices in stores are steadily rising and big-budget items like property, cars and electronic goods -- all priced in foreign currencies -- are now unaffordable for most Turkish Cypriots. "It is impossible for us to combat this crisis," said Erdal Guryay, an associate professor of economics at a private university in north Cyprus and a former board member at the TRNC's central bank. "We have no tools and we have nowhere else to go because we are an unrecognised state... the effects of the crisis on the TRNC are much greater than in Turkey," Guryay said. "We are a very small, isolated island. We're poor in natural resources and we're dependent on imports -- nearly everything comes from outside," he added. The only direct flights from the north are to Turkey. The TRNC's main port suffers the same restrictions. Supermarket chain owner Mehmet Benli said tighter budgets among Turkish Cypriots mean his sales are down 30 percent, a trend he "expects to get worse". The government's new measures "aren't even a plaster on an open wound", he added. But while Turkish Cypriots are struggling, their Greek Cypriot counterparts are flooding across the border to cash in on subsidised goods and fill up their cars. "Before the crisis, Greek Cypriots never bought anything here. They'd only come to look at historical sites, but now they're here doing their shopping," said Guryay, the economist. Petrol stations in the north are packed with cars bearing Greek Cypriot number plates. "I have more Greek Cypriot customers than Turkish Cypriots… some of them are coming for the first time," said Mustafa Demdelen, who runs a petrol station near the main car crossing in Nicosia. "Petrol is about half the price it is across the border," said the 66-year-old, estimating his new customers had netted him a "50 to 60 percent increase in overall sales" since the crisis began. Supermarket owner Benli estimated that at weekends 80 percent of profits at his location closest to the division line come from Greek Cypriots. "This is the positive side of the crisis," said Guryay. "But if the crisis continues, which I expect it will, prices will continue to rise and the Greek Cypriots will stop coming."